Visitors happy, waiting for the party to start. Everyone ready, when Carol gives the nod. To that table of goodies we see? Our table is #5, it won't be we. They never had it this good in the navy. What a feast, with dessert later. Fits in fie with this Christmas plan. Nearly caused a disaster, what fun! The men in their glory are singing "The Story"
Of our dear Lord Jesus, on a wonderful night. Then we all went home, afer this glad celebration. 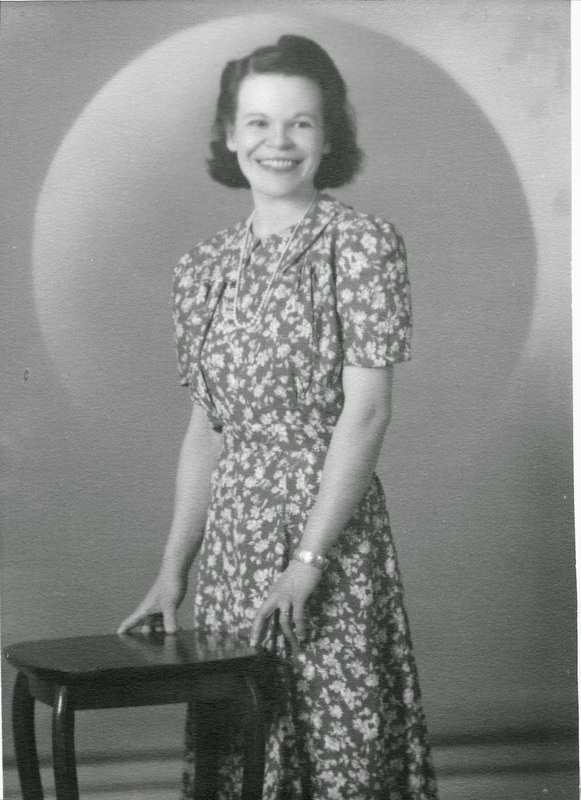 Mom was a member of St. Andrews Presbyterian Church in Duncan, BC, Canada. In her last ten years she rarely attended a worship service, but when she could get a ride, she enjoyed many of the social events.